On this fun-filled National Parks tour, discover the majestic parks and historic lodges of the American West. 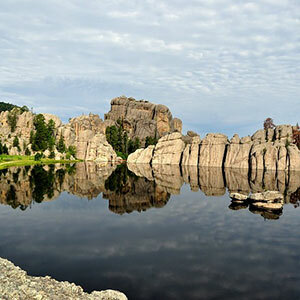 Begin in Rapid City, South Dakota, gateway to the Black Hills, and end in Salt Lake City with overnights along the way in some of the West's classic lodges. In Custer State Park, stay two nights at the historic State Game Lodge, a gracious stone and wood lodge set in a beautiful mountain valley that served as the "Summer White House" for President Coolidge. In Spearfish Canyon, stay at Spearfish Canyon Lodge, nestled in the heart of one of the world's most breathtaking canyons surrounded by lofty pines and spectacular cliffs. Enjoy 2 nights in Yellowstone National Park's classic lodges, giving you the opportunity to breathe in the spectacular beauty and witness the amazing wildlife. You'll also overnight in Cody and Jackson. 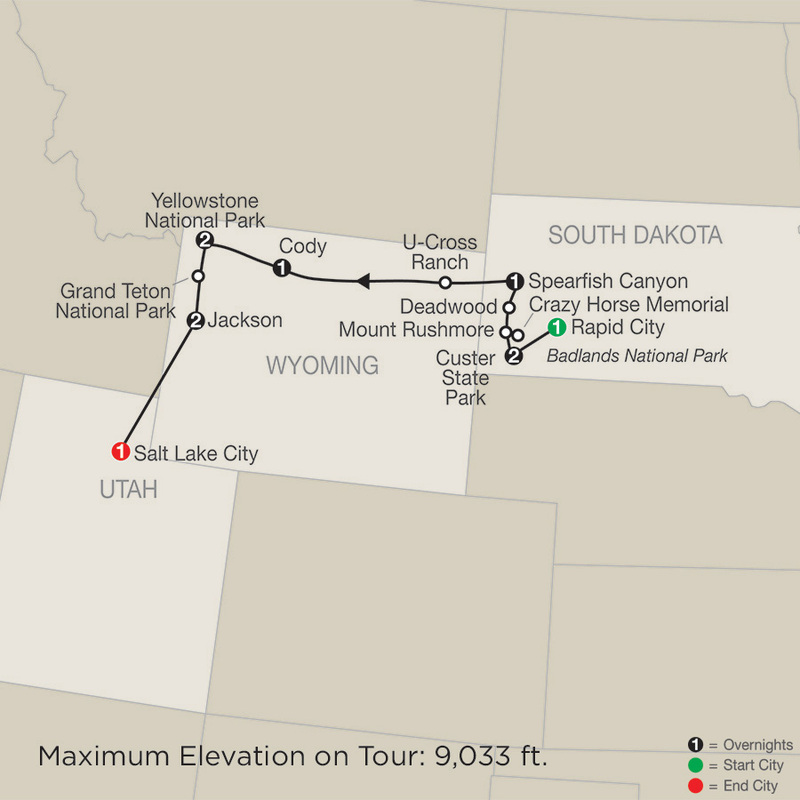 In addition to overnight stays in the classic lodges, this National Parks tour features visits to Badlands National Park to see its stunning scenery, Crazy Horse Memorial, Mount Rushmore National Memorial, the Old West town of Deadwood, stunning Grand Teton National Park, and Jackson, where you'll have time to explore on your own. Globus has also arranged some special experiences for you, such as a backcountry buffalo safari and chuck wagon cookout in Custer State Park. Just wait until you see these majestic creatures in their natural environment! You'll also visit the world's largest excavation site for mammoth remains from more than 26,000 years ago in Hot Springs. All of this and more are waiting on this tour of the West's classic lodges, breathtaking scenery, and historic sights-what a grand vacation!